Advocacy is essential to supporting women with pre-eclampsia. Tsigas, E. Obstetric Medicine. 2017. Improving the postpartum care of women with a recent history of preeclampsia: a focus group study. Skurnik G, Roche A, Stuart J, Rich-Edwards J, Tsigas E, Levkoff S, Seely E. Hypertension in Pregnancy. 2016. Preeclampsia and long-term maternal cardiovascular health: Progress through harmonization of research cohorts and biobanks. Staff AC, Redman C, Williams D, Leeson P, Moe K, Thilaganathan B, Magnus P, Steegers E, Tsigas E, Ness R, Myatt L, Poston L, Roberts J. Hypertension. 2016. Preeclampsia and future cardiovascular disease in women: How good are the data and how can we manage our patients? Seely WE, Tsigas E, Rich-Edwards J. Seminars in Perinatology. 2015. Risk of future cardiovascular disease in women with prior preeclampsia: a focus group study. The brain study: Cognition, quality of life and social functioning following preeclampsia; An observational study. Hypertensive disorders of pregnancy and risk of screening positive for Posttraumatic Stress Disorder: A cross-sectional study. Porcel J, Feigal C, Poye L, Postma IR, Zeeman GG, Olowoyeye A, Tsigas E, Wilson M. Pregnancy Hypertension: An International Journal of Women’s Cardiovascular Health 3 (2013) 254–260. Hypertension in pregnancy. Report of the American College of Obstetricians and Gynecologists’ Task Force on Hypertension in Pregnancy. Obstet Gynecol. 2013 Nov;122(5):1122-31. doi: 10.1097/01.AOG.0000437382.03963.88. Prenatal education is an opportunity for improved outcomes in hypertensive disorders of pregnancy: Results from an internet-based survey. Wallis, A; Tsigas, E; Saftlas, A; Sibai, B. J Matern Fetal Neonatal Med. 2013 Nov;26(16):1565-7. Improving patient understanding of preeclampsia: a randomized controlled trial. You WB1, Wolf MS, Bailey SC, Grobman WA. Am J Obstet Gynecol. 2012 May;206(5):431.e1-5. doi: 10.1016/j.ajog.2012.03.006. Epub 2012 Mar 13. Preeclampsia Integrated Estimate of RiSk Study Group. Abnormal liver function tests as predictors of adverse maternal outcomes in women with preeclampsia. Kozic JR, Benton SJ, Hutcheon JA, Payne BA, Magee LA, von Dadelszen P; Mark Ansermino J, Côté AM, Cundiff G, Gruslin A, Hugo D, Joseph KS, Lee SK, Li J, Lott P, Menzies J, Moutquin JM, Ouellet AB, Russell JA, Shaw D, Smith GN, Keith D, Tawagi G, Wagner B, Walters BN, Mahajan S, Noovao A, Kyle PM, Moore MP, Hall D, Wilhelm Steyn D, Biryabarema C, Mirembe F, Nakimuli A, Broughton Pipkin F, Loughna P, Walker JJ, Grobman W, Tsigas E, Merialdi M, Widmer M. J Obstet Gynaecol Can. 2011 Oct;33(10):995-1004. Von Dadelszen P, Payne B, Li J, Ansermino JM, Broughton Pipkin F, Côté AM, Douglas MJ, Gruslin A, Hutcheon JA, Joseph KS, Kyle PM, Lee T, Loughna P, Menzies JM, Merialdi M, Millman AL, Moore MP, Moutquin JM, Ouellet AB, Smith GN, Walker JJ, Walley KR, Walters BN, Widmer M, Lee SK, Russell JA, Magee LA; PIERS Study Group (Tsigas E, contributor).Lancet. 2011 Jan 15;377(9761):219-27. doi: 10.1016/S0140-6736(10)61351-7. Epub 2010 Dec 23. PRE-EMPT (PRE-eclampsia-Eclampsia Monitoring, Prevention and Treatment): A low and middle income country initiative to reduce the global burden of maternal, fetal and infant death and disease related to pre-eclampsia. Von Dadelszen P, Sawchuck D, Hofmeyr GJ, Magee, LA, Bracken H, Mathai M, Tsigas EZ, Teela KC, Donnay F, Roberts JM. Pregnancy Hypertension: An International Journal of Women's Cardiovascular Health. Volume 3, Issue 4 , Pages 199-202, October 2013.
WHO recommendations for prevention and treatment of pre-eclampsia and eclampsia (2011). Ilekis JV, Reddy U, Roberts JM and contributors. Reproductive Sciences 2007; 14; 508. Preeclampsia Identifies Women at Risk for Cardiovascular Disease (2006). 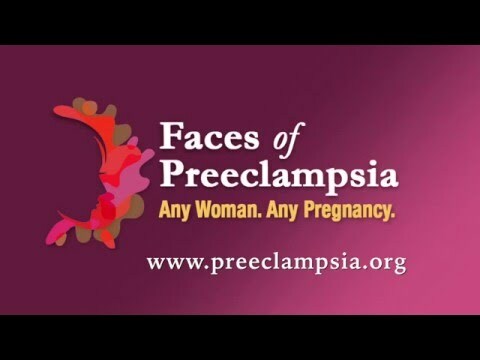 Preeclampsia Foundation Position Statement.